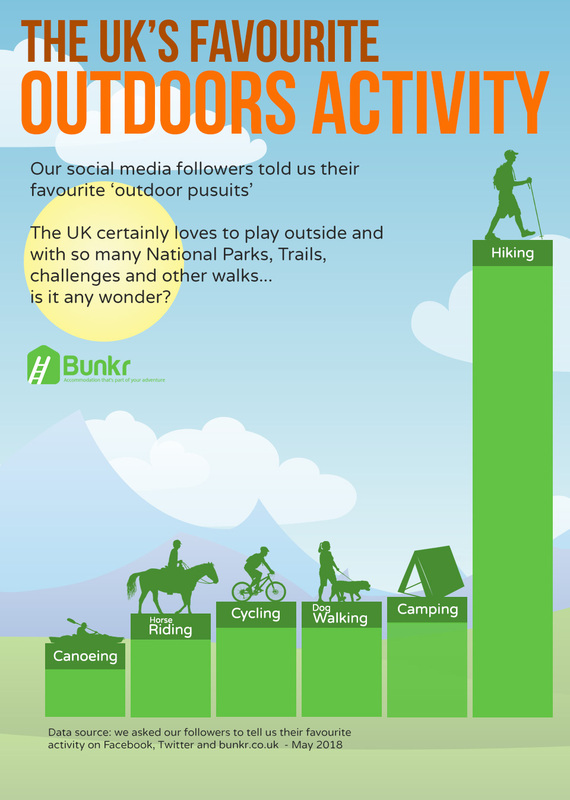 Popular outdoor bunkhouse website bunkr.co.uk recently asked all their followers, friends and website visitors to tell them their favourite outdoor activity. Being an ‘outdoor’ website they expected the usual range of answers from hiking, climbing and mountain biking. However the results while not straying too far from expectations had a few surprises. So yes, hiking was voted the number one outdoor activity, but coming just up behind cycling, camping and dog walking (isn’t that just hiking with an extra set of legs?) was horse riding as the fifth most popular outdoor pastime! Among the other surprising entrants were ‘going for picnics’, wild swimming (in rivers and lakes) and star gazing. Really great to see horse riding get some mentions and maybe shows it is growing in popularity.